Our fanclub is founded on Tuesday 15th June 1998, 2 days after the last match Genoa-Padova (1-0, Bortolazzi) in Serie B of the season 1997-1998. Now 15 years later we played 8 seasons in Serie B, 1 in C-1 and since 2007 now 6 years in Serie A. We celebrated 3 promotions against Venezia (which was cancelled a few days later by Lega Calcio), Monza and Napoli. Genoa also reached the Europa League after the fantastic season 2008-2009 with Diego Milito and Thiago Motta. In the Europa League our Rossoblu team first eliminated Odense and ended third in the group with Valenica, Lille and Slavia Prague. Since the return in Serie A we play every year the calcetto-tournament: United in the name of Genoa, the next edition is in September/October next. 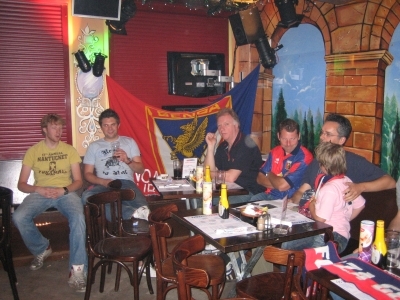 We also honour every year the best player or person of Genoa with the trophy Genoa Club Amsterdam Genoano of the year. 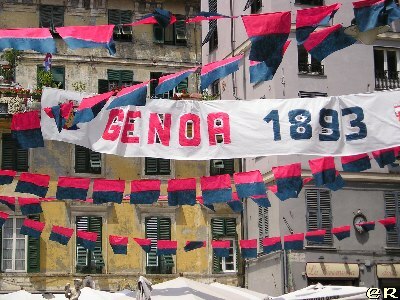 Let’s go for another 15 years: forza Genoa! 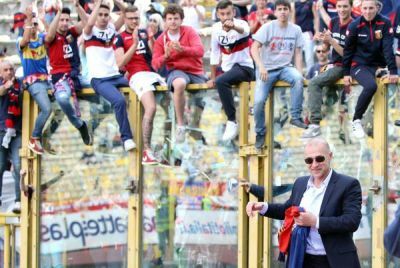 The wish of the fans of Genoa that Mr. Ballardi who saved us for relation to Serie B could stay is over. Tonight president Preziosi told on Telenord that the youthtrainer of Genoa: Fabio Liverani will be our coach for the new season. Liverani played in his career with Lazio, Fiorentina and Palermo and 3 times in the Italian national team. He is the son of an Italian father and a Somalian mother. Liverani was the first black colored player in the shirt of the Italian national football team. As a coach Liverani is inexperienced so we have to wait to know if he is the right choice of Preziosi or not. Genoa ended the season with a 0-0 draw, especially because of 22 years old goalkeeper Antonio Donnarumma who was unbeatable in Bologna. After 36 matches of Sebastien Frey and 1 match of Alexandros Tzorvas now our third goalkeeper Antonio Donnarumma got the change to defend our goal. 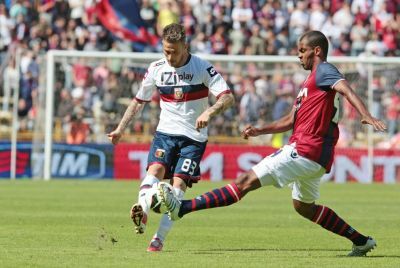 The young player did this very good, so Genoa ended the season with 38 points in 38 matches. 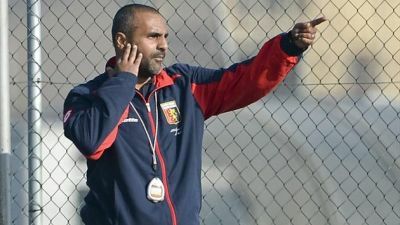 The Genoa-supporters made clear that they want Mr. Ballardi, the coach who ended the season with 7 matches without a loose in a row, also next year as our trainer. We have to wait if this will happen. All the players now go on holiday except the players who have to play for their National team. Luca Antonelli plays with the Squadra Azzura, Ciro Immobile and Andrea Bertolacci with Italy under 21 at the European Championship in Israel and Andres Granqvist (Sweden) and Juraj Kucka (Slovacchia) with their own National teams.